TV now is a lot different than it was 25 years ago, but that doesn’t mean studio executives don’t still clutch their pearls when it comes to “controversial” content. These days, The Walking Dead can spill as many intestines as it wants, but many issues surrounding sexuality and gender identity are still considered taboo in the realm of prime-time programming. As he reveals in a new oral history for Vulture, Seinfeld co-creator Larry David never thought he could get an episode like “The Contest” made. In it, the four main characters stage a bet to see who can go the longest without, you know, [whispers] masturbating. “I didn’t think there was any way the show actually could get done on the network,” he says. It did, however, and in doing so David proved to the studio, the cast, and the show’s audience that maybe masturbating isn’t that big of a deal after all. 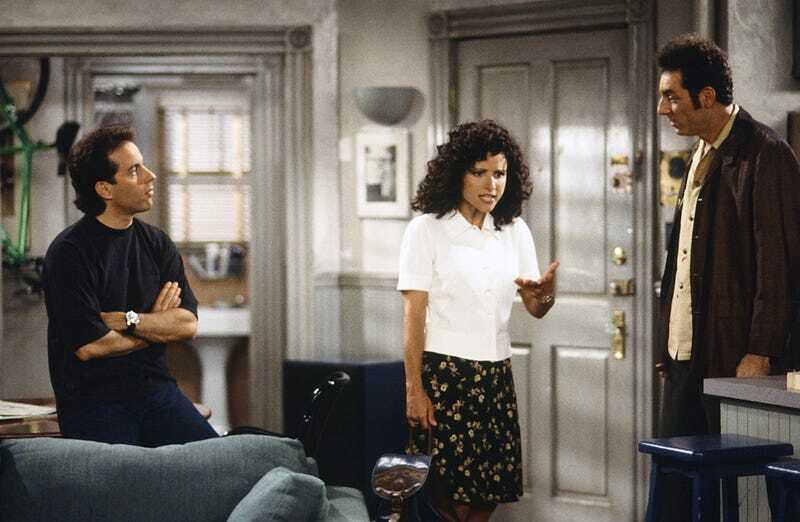 The oral history outlines the trepidation on the part of NBC’s broadcast standards, sales, and more, as well as how David and Seinfeld tailored the language to ensure they were approaching the topic properly. It also shows how, after it aired, it felt more like a burst of energy than a lightning rod. Although they prepared for outcry, only 62 viewer complaints were logged; what it inspired instead was conversation. Comedian Pete Holmes sums it up best, though. What makes this episode so special is its restraint and even its elegance in dealing with something so … carnal? It’s about jerking off, but it’s so much more fun in the confines of network television because it forced the writers to play a very interesting game of censorship versus a real story — and the episode is better for it. Frame it right and entertainment can inspire illuminating dialogue about just about anything. Even jerking off.